The sight of split ends should warn you of the most common hair damage almost every woman deals with at some point in her life, which, if not prevented or treated, can lead to more serious hair problems, such as hair breakage, dryness, frizz, and an unhealthy-looking pile of hair in general. While your daily hair care routine and genetics play an important part in contributing to the appearance of split ends, there are certain split end treatment products you can get and measures you can take to prevent and get rid of split ends for good. From the causes of split ends to the common types to tips for preventing and treating dry and frayed hair ends, here we bring you this ultimate guide to keeping your hair healthy and shiny. • What Are Split Ends and What Are the Common Types? There are always solutions to every beauty problem, but only a few stand out. Below are the best split end treatments that will not only moisturize your hair for a healthier look but also keep future split ends at bay. Ideal for all hair types, including colored and chemically treated hair, this treatment seals split ends and aligns hair fibers making your hair appear smooth and clean, mimicking the look of freshly cut hair. You can apply this lightweight lotion to both dry and damp hair, using it as often as needed for that healthy glow. Pick up a tube at Saks Fifth Avenue! Usually applied to the ends of dry hair, this leave-in product repairs and protects hair from the effects of all kinds of damage and prevents the appearance of split ends. The nangai oil contained brings separated ends together, but also prevents new split ends from forming. Find this excellent split end remedy at Nordstrom! Colored, straight, wavy, damaged and curly hair, just name it. This split end treatment is perfect for any hair type. It seals broken ends and prevents future damages to hair. It contains baobab seed oil that is known to give hair the needed shine. Get it online at Net-a-Porter! This hair oil is perfect for any kind of hair, including your brows. Surprised, right? It does work really well on brows. Fortified with vitamins and minerals that keep hair healthy and smooth, it repairs and protects against split ends and breakage. You can find it online at Sephora. This hair serum and split-end mender restores and fortifies the hair against any kind of damage. After the first use, it reduces breakage by 65% and repairs about 94% of split ends. So, it is obvious it is an instant split end treatment. It also defends against the deterioration of natural keratin in your hair. Get this precious bottle at Nordstrom! This plant-based formula smoothens hair and repairs split ends. After each application, it penetrates every strand of the hair and improves its strength thereby reducing breakage to the barest minimum. This hair oil is available for purchase at Net-a-Porter. Natural oils that strengthen and bind hair fibers are contained in this split end treatment. Using this hair lotion, there will not be any need to trim your hair so often, as it works to give your hair that appearance of freshly cut hair. Get it on Amazon now! This argan oil-based finishing product not only seals split ends but also fixes dry ends and prevents further damage. At the end of the day, it strengthens your hair and leaves it moisturized. Get a bottle for yourself at Sephora! Formulated with smart polymers, this hair remedy seals split ends, strengthens strands against future breakage and shields hair from heat tools and chemicals, which explains why it is called Triple Threat remedy. Get this split end remedy from Nordstrom and say goodbye to frayed hair! 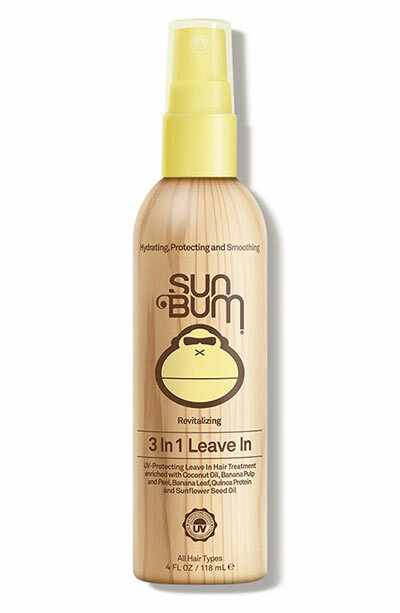 This lightweight formula smoothens and softens hair while sealing split ends. It is suitable for dry and damaged hair. This serum-cream is enriched with rose of Jericho that tames stressed locks, stops breakage and protects against heat damage. Apply it before blow-drying and styling your hair. But first get it at Net-a-Porter! This particular split end treatment works well on all hair types. It is a leave-in cream that hydrates hair while also repairing split ends. It does not stick to hair or weigh it down, neither does it alter hair color. You can use it daily for a fantastic moisturizing experience. Pick it up at Sephora! Containing the best blend of nutrient-rich ingredients that help fight daily styling stress and environmental damage, this split end remedy binds hair fibers, seals split ends and leaves your hair smooth and shiny. Apply it after shampooing your hair and feel the great difference! It can be found online at Nordstrom. This split end treatment product has been tested and proven worthy of being mentioned here. It is a deep leave-in conditioner that hydrates, strengthens and primes hair. It also controls frizz, protects hair against any kind of harsh condition or substance, and repairs/ prevents split ends while adding shine to hair. Get one for yourself at Ulta! Safe for any kind of hair, this hair oil can be used as a styling oil, an overnight split end treatment or a pre-shampoo boost. It nourishes hair, improves the condition of damaged hair and gives it a shiny appearance. Find it online at Sephora! A unique hair treatment that actually creates miracles! If you ever want to keep nice, beautiful, and shiny hair, then your hair care products are incomplete without this split end treatment. It has so many benefits that range from nourishing hair, reducing dryness, adding moisture to hair, minimizing hair breakage to smoothing the cuticles, which in turn prevents breakage from brushing. Get it online at Ulta! Popularly known as the double-duty formula because it repairs split ends and also acts as a color-protecting style primer, this is the best strengthening oil for hair. Not only that, it controls frizz and restores hair shine and healthy appearance. Get yourself a bottle at Sephora! This hair mist protects, conditions and detangles hair. Protection of strands from UV damage, controlling of frizz and prevention of split ends can also be achieved with this formula. It contains coconut oil for hair that hydrates, giving your hair a smooth and beautiful appearance with a sweet scent. You can find this split end remedy at Dermstore. What Are Split Ends and What Are the Common Types? While some people can maintain long and healthy hair without battling split ends, others cannot. Genetics plays a very important role in determining if your hair would break or not. Some families all suffer from split ends and dryness, while others do not. Split ends are dry hair tips that occur as a result of fraying of the hair shaft. Despite the word ‘ends’, they can actually occur anywhere on the strand, although they are most noticeable on the ends of the hair, since the hair tips are the oldest and more likely to split. Having small amounts of split ends is no reason to panic but when your hair starts to split in large amounts and it can no longer exceed a certain length, then you have every reason to be worried. Split ends are a strong indication of unhealthy, dry and damaged hair. There are various types of split ends that every woman should be aware of. Resembling a capital Y, this is the most common type of split ends. It is in the early split development phase. Even though the cortical cells are still held together in this condition, they are already beginning to separate slowly. What this condition basically screams is that your hair needs nourishment. This particular one looks like the little cousin of the basic split, and occurs when hair needs hydration. The hair starts to appear dull and dry, and before you know it, breakage starts. Using sealing treatments is crucial now. It is not as common as the former two types of split ends. Having three frayed ends and thus resembling an irregular fork, this one signals a more significant damage and occurs when the hair fibers have been damaged. Regular trims and deep conditioning hair masks are the first measures you should take to get rid of this type of split ends. Having more than three frayed ends and looking like a leafless tree, this type of split ends goes a long way to tell that a greater damage has been done to one side of the hair fiber as compared to the other. As a result of that damage, cortical cells begin to separate rapidly. Getting a trim is mandatory in this case, and you should also consider getting good split end treatment products. This type of split has a thinner tip and is characterized by loss of the outer cuticle. At this stage, the hair looks unhealthy and dull even though there is no visible split. The dull appearance is an indication that breakage might start at any time. Again, getting a trim and investing in great split end remedies will lead to revitalized hair. Curly hair type is prone to this kind of split, which looks like a single strand knot. The curl tangles and causes its own knot, thereby resulting in its breakage. This type can easily be avoided unlike the others. Use detangling products and condition your hair deeply. Split ends do not just come from nowhere, something triggers them – probably excessive chemical use, heat styling and brushing, and genetics too. Even grooming practices such as putting your hair up with a towel to dry, brushing out tangles, or styling it up in a ponytail can cause the hair ends to split. • Chemical and Color Treatments: Hair treatments are good but using them in the wrong way or too often can weaken hair strands, resulting in split ends. • Climate and Weather Conditions: While the other split ends causes can easily be managed and controlled, this particular one cannot. Nobody has control over weather conditions. You have no control over the sun even though exposing your hair to it can cause split ends. Lack of humidity causes dryness while dryness causes hair breakage. • Bad Nutrition: Lack of proper nutrients in the food you take in can cause your body not to produce healthy hair. Before you ask why you should always eat nutritious foods, it should be known that we are what we eat. If the vitamins to cause healthy hair growth lack in your meal, be sure of having unhealthy hair. • Using the Wrong Hair Treatment Product: Some hair products strip hair off its natural moisture while some act as moisturizing agents. Using the wrong product actually increases hair problems instead of solving them. So, care should be taken to avoid products, which will do you no good. • Heat Styling: This is the quickest way to cause split ends. Constant use of heat tools causes the hair strands to weaken, which, in turn, causes great damage to the ends of the hair. • Physical Manipulation: Detangling and touching hair in any way can break down the cuticle. When these cuticles are broken down, the next thing that would happen is split ends. • Friction: Hat, scarf or other fabric worn over the hair causes damage to the cuticle. You would be surprised to know that wearing your hair down in such a way that it touches your shirt or dress causes the ends to split as well. Preventing split ends is very vital but if you are not observant enough or proactive and it happens, then you must take some measures to ensure you don’t lose your hair totally. • Leave-in Conditioner: This is great for maintaining healthy hair and it can also be used to moisturize, hydrate and reduce split ends. • Serum: Using hair serums hydrates and smoothens the cuticles thereby reducing hair breakage and split ends. • Coating Split Ends: The frayed ends can be covered with silicon oil to make the hair healthy and improve its appearance. Although, it is not advisable to use it regularly: only use silicon oil after three shampoos and even while using it, two to three drops will be enough. • Using the Right Hair Care Tools: To get rid of split ends, do not use cheap or teasing brushes, as they would worsen the condition of your hair. Rather, use brushes with natural bristles and combs made of wood. • Trim Your Hair: Honestly, this is the surest remedy for split ends. If the other methods appear not to improve your hair, then, it is high time you visited a hairdresser to get rid of the damaged ends. The phrase “prevention is better than cure” also applies to your hair. It is much easier and more affordable to prevent split ends than to get rid of them. There are a number of ways to keep the hair hydrated and healthy at all times, so you will not end up battling split ends. • Get a Regular Trim: Trimming off the hair ends every 6-8 weeks is the most effective method of preventing split ends because the problem is nipped in the bud. Doing this prevents split ends from traveling up to your hair shaft. So, next time you are thinking of long, healthy hair, think also about trimming the ends. • Use the Right Products: Knowing exactly what it is you are suffering from is the first step to choosing the right product. With this knowledge, you can pick products that would treat that condition without altering your hair color or texture. Generally, avoid products with parabens and sulfates, plus those with toxic chemicals. Also, wash your hair less frequently. • Eat Healthy Food: Include fruits, vegetables and foods that are rich in protein and vitamins in your diet. They go a long way in nourishing the hair and preventing split ends. It takes a healthy body to be proud of healthy hair. • Always Wear Clean Hair: Excess oil and product build-up in the hair cause the ends to split in a really terrible way. So, make sure you wash your hair, not excessively though, and rinse whenever it starts to appear too oily. • Protect Your Hair While Sleeping: Use a satin pillowcase if you do not want to wake up to strands of your hair on the pillowcase. Also sleep with your hair in one or two loose braids. • Oil up: Almond oil, castor oil, argan oil and other essential oils lubricate the hair shaft and prevent split ends. Use them regularly, either together or individually. Some people find it so easy to just pick up a pair of scissors and get rid of their split ends. If you treasure your hair and want to maintain that fresh look, you can try trimming your own split ends at home. There are various ways to cut off those lengths right in the comfort of your home. • To use this method to trim your split ends, brush your hair properly and make sure it is dry. • Part your hair into sections and in each section, take about an inch of the hair and twist it tightly. • Make sure the twisting starts at the top of the section and keep twisting as you go down. If you do this properly, you should see the ends of some strands sticking out of the twist. Cut off those strands from top to bottom. Having a mirror should help you do this better. • To get rid of even more split ends, undo the twist and twist it again in the opposite direction. Those split ends that were not visible the first time will appear now, and you can then trim them. • Putting a little amount of water on your hair helps to straighten it so the split ends can easily be cut off. When using this method, do not soak your hair, just apply a little water and brush or you can apply water to the brush and run it all over your hair to detangle it. • After brushing, separate your hair into sections using a small comb. Slip a section in-between your index and middle finger. Slide it down from the top, only stopping when you are an inch or less or even more from the tips, depending on the level of damage that has been done to your hair. • Place the left-out strands right in front of you and cut in a perpendicular line, otherwise you will get an uneven cut. • Repeat the processes with the other sections. • If you have textured hair, there’s no need to apply any water as it cannot straighten it. Just keep dry it and cut. • If you are not gifted with straight hair, then you need to straighten your hair for this method of trimming split ends. • For wavy hair, rather than using a straightener, it is best if you blow-dry your hair. But, if you must use a straightener, then apply a heat protectant all over your hair before use. • Once you have straightened your hair, part your hair into sections and position a section in-between your ring, index and middle fingers. While running those fingers from the root to the tip, you should see the ends of some strands picking out. • Chop off those split ends as you slide your finger down. • Do the same with other sections. • Make sure your hair does not have layers if you want to use this method, or you might just end up trimming the shorter strands of your hair. While trying to grow your hair out to a certain length, the idea of trimming the split ends might not sound appealing. The downside is, if you ever want to grow longer hair, then you must keep those ends healthy. This is where hair dusting comes in. With hair dusting, too much length is not removed, so don’t get scared. Hair dusting is an alternative method of removing split ends in a way that the length of the hair is maintained. • To do this, section off your hair into four equal parts. Twist each of the sections and use a clip to hold them to your head. • Unclip one section and divide it into even smaller sections of about 4-5 rows. Twist those smaller sections, take one and slide your finger down, so that only the ends are visible. • If done properly, you will notice some loose strands sticking out from the section. Take a cursory look at the end of the twist and cut off less than one quarter of an inch from the end. • Do this to the other sections. • Remember to always use professional hair scissors, if you want a neat job without causing more damage to the ends of your hair. If the above-mentioned process is followed strictly, in the end, there should be fine, thin hairs on the floor and not large locks or curls. With hair dusting, you can grow healthy and longer hair free from split ends. Just as there are chemical products that get rid of split ends, there are also natural conditioners that repair, seal the ends, protect and prevent hair breakage. Here you can find some effective natural remedies for split ends at home. Moroccan oil is a natural split end treatment that makes your hair softer and shinier. It is rich in vitamin E, omega-3 and omega-6 fatty acids that deeply condition hair and reduce breakage. Coconut oil is a fantastic moisturizer, while argan oil is rich in vitamin E, fatty acids and antioxidants, which help get rid of split ends. For this natural treatment, you can choose any of these three hair oils. • Wash your hair with a suitable shampoo. • Dry with a towel and apply the Moroccan oil (or coconut oil, or argan oil) from the mid-shaft to the ends of the hair. • Do not rinse, just let it dry. Castor oil repairs and hydrates hair. It is very effective in promoting hair growth, as it contains antioxidants that protect hair. • Add a teaspoon of castor oil in your palm and apply it from the root of your hair to the tip, including your scalp. • Cover with a shower cap and let it sit for about 1-2 hours depending on your hair type and the level of damage that has already been done. • Rinse afterwards with shampoo and towel-dry. 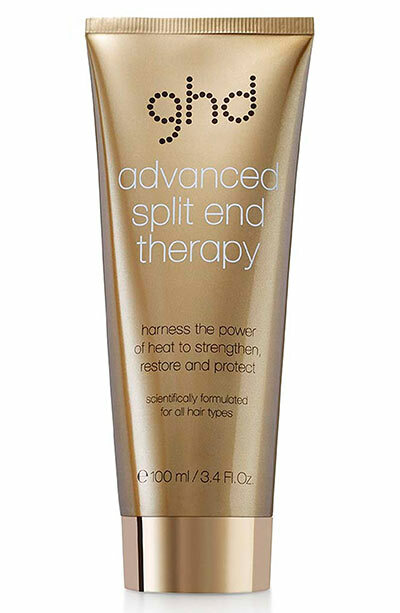 • It is recommended you use this split end treatment twice a week. • If you are using a carrier oil like coconut oil for additional effect, dilute both oils and follow the same procedure. Honey contains essential ingredients that help retain moisture in the hair and strengthen it, thereby preventing split ends or reducing them, as the case may be. • Apply it all over your hair. • Cover your hair and let it sit for about 2 hours. • Rinse with shampoo and dry. Aside from taking in banana to help your hair grow healthier, it can also be mixed with coconut milk and applied directly to the hair. Banana improves hair elasticity and prevents breakage. It contains vitamins that soften hair. • Mash one ripe banana in a bowl. Add 2 tablespoons of coconut oil and mix thoroughly. • Apply the mixture to every part of your hair. • After 1-2 hours of waiting time, rinse your hair and dry. Made purely from eggs and oil, mayonnaise is highly rich in protein, which moisturizes and softens hair. Using this mask, will repair your split ends, grow your hair and protect it from dryness, which leads to breakage. • Mix 2-3 teaspoons of mayonnaise with 1 teaspoon of aloe vera gel. • Apply the mixture from the tip of the hair to the roots. • Clip your hair up, cover it and let it sit for a little while. • Shampoo, rinse and dry. Avocado is rich in vitamin E, and phytonutrients that help to retain hair moisture and prevent damage. • Mash half an avocado in a bowl. Add 3 teaspoons of almond oil and mix until it becomes smooth. • Apply the hair mask to all parts of the hair. Leave it in for about an hour and wash off. • For best results, use once a week. Lemon is a fantastic hydrating agent. When applied, it helps hair retain its moisture and prevent breakage. • Shampoo your hair and wash as normal. • Combine 2 teaspoons of lemon juice with 1 liter of water. Rinse with this treatment and dry with a towel. No blow-drying is required. • It is best if you make use of this hair rinse every time you wash your hair. Aloe vera contains niacin and folic acid that improve the appearance of hair, add volume and also offer protection against sun damage. • Mix 4 tablespoons of extracted aloe vera gel with 2 tablespoons of lime juice in a bowl. After mixing, apply it to your hair and cover with a shower cap. • Let it sit for about an hour or more and wash.
Rich in vitamins and antibacterial and anti-fungal properties that help to maintain scalp and hair ends, this natural split end treatment repairs, moisturizes and keeps your hair healthy. • Mix 4 drops of tea tree oil, equal amounts of almond oil and coconut oil with 1 tablespoon of aloe vera gel. • Apply the mixture to your hair including the scalp. • Wrap your hair and leave it to sit for half an hour. • Shampoo as usual and gently dry with a towel. This natural split end treatment provides deep nourishment and improves your hair. • Mix a tablespoon of yoghurt with the same amount of almond oil and half a cup of mashed ripe papaya. • Cover your head and keep it in for about 30 minutes to 1 hour. • Shampoo your hair and dry.